All contents of the site including all the pages, files, information and all materials previewed in these pages for intellectual property rights laws. King Fahd Armed Forces Hospital in Jeddah keep legal rights against any violation thereof. 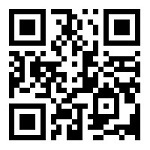 All information and materials available on this site could be change at any time. The hospital is entitled to change this information according to the interest of the business without giving reasons. All information and materials provided by third parties contained on this site, such as text, graphics, hyperlinks or any other items, have been displayed "as is". Therefore, King Fahd Armed Forces Hospital in Jeddah does not guarantee the accuracy of this information or its suitability for the intended purpose or if the information and material are adequate or not. The hospital are not responsible for any errors or omissions in the information and materials. The hospital does not give any warranty, whether implicit or explicit, whatever the kind and nature of any information. all this includes as an example but is not limited to, the warranties of non-infringement of third party rights, property rights, the possibility of marketing information and materials and their suitability for use in any other purposes free from viruses. Hospital is not responsible about any damages including but not limited to any direct, special, incidental or consequential damages and any loss or expense that may result of using this site or inability to use it by any party. 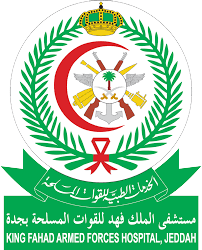 All information provided by the site visitors is the property of King Fahd Armed Forces Hospital in Jeddah, which is entitled to use this information for any purpose, as well as the use of any ideas, concepts, experience or technology contained in any information provided by any visitor to this site. The hospital will deal with this information in accordance with the hospital policy regarding the confidentiality of the information below. If you provide personal information about yourself such as your address, telephone number or email address, as well as any background or identifying information about you as a visitor registered at the King Fahd Armed Forces Hospital site in Jeddah, we are committed not to disclose such information Disclosure) to third parties unless you are notified and we have your authorization or do so by law.